Ag98 Trailer Sales is your one-stop-shop for utility trailers in Florida. Our trailers are great for industrial, agricultural and recreational use. 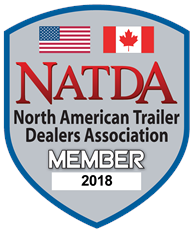 Come view our inventory of Big Tex Trailer, Aluma, and MAXXD trailers. We are Florida's Largest inventory of Livestock Trailers with Galyean, Exiss, and Delco trailers available in several sizes. CM Truck Beds are one of our specialties. As one of the fastest growing CM Truck Bed distributors in the world, we are ready to help you find truck beds for sale. Ag98 is the only Okeechobee, Florida Trailer Dealer with full-time service technicians, we do the work ourselves and stand behind our service. Ag98 Trailer Sales is a solid distributor with years of experience ready to work for you. Florida Trailer Dealer. CM Service Body, SB Model, Cab Chassis 9'4" Length, 60" ***DISCLAIMER*** Features and sizes may change. Photos may be of similar, not actual, products. Please verify specifications, price, and availability at: CM Service Body for Sale in Florida.